An LED flood light is a source of bright white light, which it beams out at a very broad angle. LED flood lights are in use in many areas such as warehouses, perimeters of houses, theaters, playgrounds and stadiums. These lights have several benefits to offer users, especially when compared to standard incandescent, CFL or halogen lights. 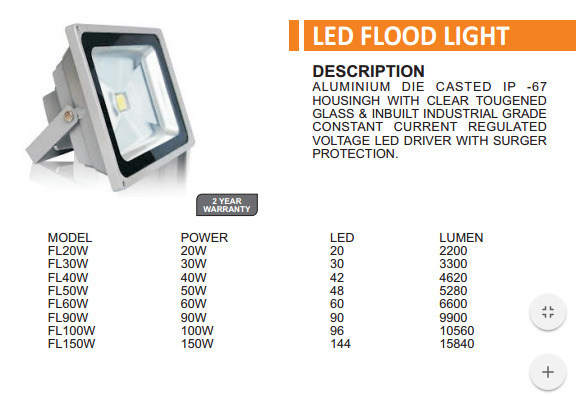 Mercury and lead are not used in the production of LED flood lights. These lights do not give out any harmful emissions such as carbon. As a result, they are much more friendly to the environment and also to the health of people nearby.